The problem with educational theory is partly due to what the term, ‘theory’, means when used in this way. 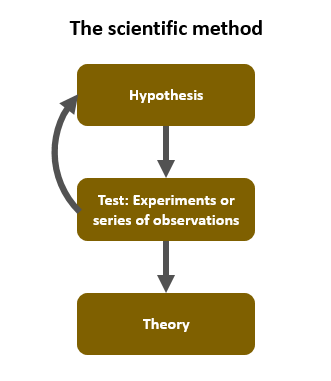 In science, a ‘theory’ is the end-product of the scientific method. It has been rigorously tested against experiments or sets of observation (e.g. you can’t experiment on stars but you can conduct sophisticated observations). Scientists actively look for evidence that would prove their hypothesis wrong. We have a robust theory only after a hypothesis has undergone substantial testing and experimental results are replicated by other groups of researchers. Educational theories, on the other hand, are often little more than what some eminent educationalist reckons. Sometimes they are supported by experimental evidence. However, it is often weak in nature and lacking in replication. Piaget’s stage theories have now been disproved even though he conducted plenty of experiments. The stages that he identified are likely to have been the product of the particular educational experience of the Swiss subjects that he studied (who included his own children). Other educationalists are actively hostile to use of the scientific method. They talk of this as ‘positivism’ and apply special pleading. We are told that education is so terribly complex that scientific approaches break down. If it really is that complicated then it is hard to see how partial, unreplicated, uncontrolled, narrative accounts with a few numbers scattered around from time-to-time will have a better shot at uncovering the truth than scientific experiments. And yet the beast of educational theory lives. Take Paolo Freire’s banking model. This is often trotted-out to explain why explicit instruction is such a bad thing. Yet explicit instruction is one of the educational practices for which there is strong empirical evidence. When you look at the case that Freire builds, it is clear that it is political; it is what Freire reckons about education based upon his revolutionary political beliefs and his experiences of teaching illiterate adults. It should be clearly seen as offering us little to apply in our K-12 classrooms. Or there is the case of John Dewey. Almost a religious figure in the field of US education, his intentions and legacy are often fought-over. And yet his influence is at the heart of the ‘expanding horizons’ model of social studies education which has been turning students off the subject for nearly a hundred years. Despite being comprehensively critiqued in 1980, expanding horizons is the model for a brand new social studies curriculum in Australia. But perhaps things are not as bleak as I suggest. Psychological research is not perfect and it suffers from flawed studies and low rates of replication. Yet one of the reasons that I decided to pursue research in cognitive load theory is because it is one of the few frameworks that I have found to offer anything of practical use. Although often criticised as lab-based, much of the research has been done with students in classrooms. And it is unashamedly scientific in its approach. Cognitive load theory is certainly not perfect and has stumbled along the way. So have other promising psychological theories. But if you want something of practical value in the classroom, modern applied psychology seems the better bet. I presume by cognitive load you imply the danger of cognitive overload, akin to trying to add water to an already full container. The Fins have 45 minute lessons with 15 minute breaks to give some hope of assimilating what they were taught – the subconscious can indeed work on this during child play. By contrast, my sister taught 2 hour secondary school maths lessons until she left the profession as a result of overload. The chance of child overload in a 2 hour lesson would presumably be very high. Poor Piaget, you dismiss his efforts on the basis of a report on one experiment. How about a link to the actual experiment. Also, someone has a new way of seeing things, and because the account is long it rapidly becomes condensed and over-simplified for general consumption. Piaget is by no means the only one to whom this has happened. And cognitive load theory has not yet had this treatment? I would suggest that there whould be a set of works that teachers ought to read. There’s been a number of really good books in the education field which either challenge the status quo taught in the ed schools or which move into some different directions. Given the mess that ed tech is making of the field, this might be worth developing. There’s a raft of journal articles I’m too lazy to dig up (the Kirschner and von Merrionboer article, “Do Learners Really Know Best? Urban Legends in Education” is a favorite: http://www.learnlab.org/research/wiki/images/4/4d/Kirschner-Merrienboer-2013.pdf) and other content (Common Sense Media’s new survey of teen and tween media usage https://www.commonsensemedia.org/research/the-common-sense-census-media-use-by-tweens-and-teens, as is the Deans for Impact report on the science of learning: http://www.deansforimpact.org/). Still not clear why a theory has to have been rigorously tested before it’s a theory. Isn’t a theory an idea that can generate testable hypotheses, whether they have been tested or not? Evolution hardly passes that test ! But it’s better than the alternatives. Are you suggesting evolution does not generate testable hypotheses? Very difficult to do.Not enough time. The existence of mutation does not lend itself to testable theories, it is an explanation. Evolution is testable and falsifiable. You can observe it with antibiotic resistance in the lab. It makes predictions about the sequences we should find in the fossil record. There are no Precambrian rabbits. It is the model of a testable, falsifiable scientific theory. You can call pretty much anything a ‘theory’ if you want to. This makes the term unhelpfully ambiguous. You can indeed call pretty much anything a theory; I was calling a theory an idea from which you can generate testable hypotheses, rather than an idea that has been rigorously tested. That’s all. As Howard says, poor old Piaget. As far as I’ve been able to find his stage theory is dismissed because studies of what babies stare at indicate that they are capable of more understanding than he credits them with! Pretty thin stuff to dismiss an entire theory with. This is especially true for me, a secondary teacher, his failure with babies is not a stage I’ve any interest in. Obviously, being originally a hard scientist, I agree with you that Edutheory is not science as I know it, but if I find a theory that I regard as having some explanatory power, and which has produced interesting outcomes (CASE), then I won’t dismiss it without more convincing evidence. To do so would be unscientific. I don’t think it’s just about babies. I think it’s the whole concrete / abstract thing. But I’d need to look into that more. I think Willingham has written at some length. CASE is an interesting set of ideas. Adey and Shayer have been clear that it draws from a number of different sources (Piaget, Vygotsky) and that it cannot be broken down into its constituent parts. I therefore don’t see how it can be used as evidence for Piaget’s theories because it could be the other bits that have the effect. I’ll be interested to see the results of the EEF evaluation of CASE. Most of the studies so far, including the ones with the extraordinary far transfer effects, have been by the authors. Is there not a Norwegian rct with similar results to the authors? Even if Piaget’s ideas are broadly correct, the difficult leap is from there to the theory of teaching that are based on them. I have never found myself struggling with the Piaget I have read. Yet I teach almost entirely by Explicit Instruction techniques. I try to only teach at the level that the students can grasp, and have fought against teachers who try to push kids to a level they cannot reach yet because they are not mature enough intellectually (such as introducing quadratics to students who haven’t yet really mastered linear algebra). But it matters not at all that they reach that stage because of Piagetian stages, or Vygotsky’s zones or whatever. Correct theory about intellectual development doesn’t mean anything if you are no good at practical application of it, whereas sensible teaching with an incorrect theoretical framework is often just fine. The Constructivists have more or less hijacked a psychologist to their teaching agenda. Piaget can fit into my mental model of teaching just fine, and I loathe Constructionism. There’s constructionism with a small c that says kids construct models of reality which new knowledge modifies. This strikes me as self evident (a terrible position for a scientist!). Then there is Constructionism which says kids can only add knowledge to their model which they have constructed (read discovered) for themselves. About which Greg will rant at length. In the little Piaget I have read I only see support for the first, but I’ve seen quotations from him that lend weight to the second. as a teacher the best piece of research I have spotted is hatties meta analysis on pupil achievement – to me it uses data scientifically to give a tangible outcome . Actually Hartger, to me at least, theories of “education” are not much help. I want to teach my subject. I’m not going to ignore opportunities to educate my students in other dimensions if I can do so quickly without distracting from my main aim, but that’s not why I nor they enter the classroom. I’m pretty much convinced that any direct attempt to teach morals, values, life skills, critical thinking or similar is pretty much doomed to fail. So anything that concentrates on the moral dimension of teaching practice isn’t very helpful. it doesn’t work, and it takes time from teaching the actual subjects as well. 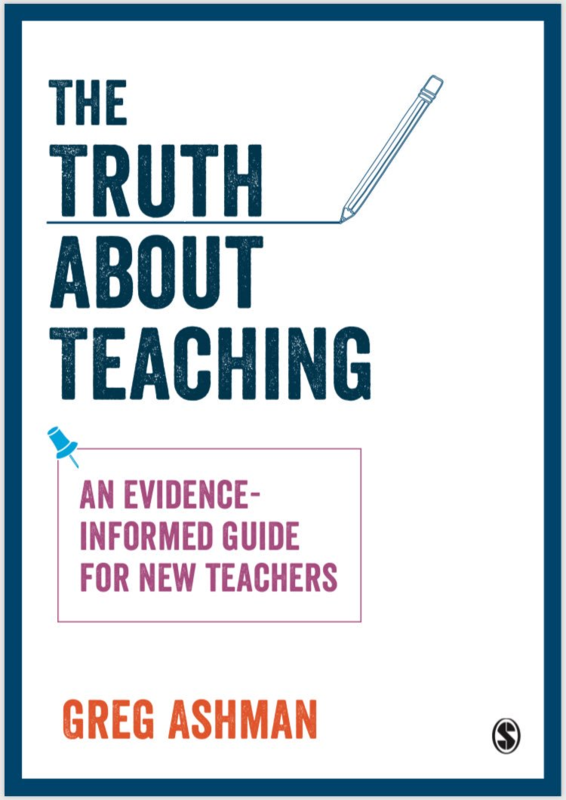 We need theories of teaching that work. Leave the other stuff to parents. Thanks Chester, I understand. Does it hep if I state that in teaching your subject, you are also teaching morals and values? It’s in how you grade, in how you give feedback, which jokes you tell, or do or do not allow to be told, how you reach out to a child that has lost a relative. In some ways, you’re a parent to your students, I don’t think you can’t separate that from teaching a subject. You’re not a robot transferring data, but a human being creating meaning with and for other human beings, your students. But that’s how I see it. Sure Hartger, which is why I say that I don’t miss opportunities to do that stuff as it passes. Our school has form classes which are aimed to catch that directly. I’ve never found theory terribly useful in those situations though.